Allan Gray is a South African investment manager that has focused on creating financial security for their investors for over 40 years. Gravity Ideas is a behavioural design consultancy based in Cape Town, South Africa, that focuses on using insights from the behavioural sciences to improve design assumptions and decisions relating to company products, services, programmes, and communications. Encouraging South Africans to save and prepare for their retirement is a core concern in South Africa as it has one of the lowest savings rates in the world. For this reason, there are several government designed investment products that offer tax incentives to further motivate retirement savings. One of the key products is the Retirement Annuity (RA). By adding more money to these products, an individual can significantly reduce the amount of tax that they will pay. There are, of course, limits and restrictions surrounding these products, most notably the cut-off date for additional deposits that will lower a tax bill. Allan Gray wanted to increase the number of their clients that made additional contributions to their RA as well as improve client efficiency in taking these actions before the end of the tax year. In order to develop a behavioural solution, we conducted academic research, behavioural interviews with a targeted group of clients, and a subsequent data analysis of the findings. We then conducted a second, more focused, round of behavioural interviews to help identify information that was most pertinent to clients, and then determined the most effective way to frame this information. There were two primary behavioural barriers that clients were encountering: information overload and the planning fallacy. Clients were so overwhelmed by the amount of information that they received that they failed to engage with it meaningfully, if at all. However, those clients who did meaningfully engage with the email were overconfident in the amount of time it would take them to complete all necessary paperwork and thus, due to poor planning, often missed the cut-off date. Additionally, it was found that there was a large mental barrier surrounding these products. Most clients did not understand the benefits available to them, even if they added just a small amount to their investment, nor the limits and restrictions surrounding the additional amounts that they could contribute. Many clients left the decision until the last minute and then had to frantically decide how much they should add to their investment, and which product they should add it to. After this, they would then have to have these additional contributions approved by Allan Gray, which would often take longer than expected. Essentially, clients were either not engaging with these benefits because they did not understand them, or they were leaving it until the last minute and making poor decisions under pressure. The final intervention took the form of targeted emails and a campaign-specific webpage. Segmented the clientbase dependent on their existing products, and whether or not they had contributed in the past. Those clients who had previously made use of these tax-saving benefits were then sent a personalised email which focused specifically on transaction timelines and the process that they would need to follow. Those clients who had not previously made use of tax-savings were sent an email which clearly outlined the benefits of doing so. By means of website and email design, we downplayed less important information and highlighted information that we knew to be most important to clients based on previous interviews. We focused on clearly communicating the process that the client had to follow, and employed a strong call to action, which was tailored to the relevant client segment, in order to encourage immediate action. We sent out the optimised email 14 days before the cut-off date. We felt that this allowed sufficient time for a client to make an effective decision, and to allow Allan Gray to process their request in enough time to take advantage of the tax savings. The email clearly stipulated what was required of the client, as well as the time needed by Allan Gray (the stakeholder) to process their transaction. We had two core objectives that we sought to achieve in this intervention. The first was to get more clients to make their contributions earlier in the month, rather than delaying until the deadline. We looked at the contributions made from the start of the month up until three days before the deadline, and compared these to an average of the same time period over the last four years. The results showed a 68% increase in contributions. Overall, we observed a 60% increase in contributions for this year compared to the average of the last four years. 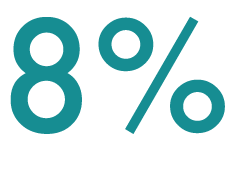 This means there was an 8% shift in clients contributing earlier than three days before the deadline. The second was to increase the number of clients that contributed to their investments before the end of the tax year. The results showed a 54.6% increase in the number of contributions made in the month leading up to the deadline. (This is excluding average yearly increases seen over the last four years). Increase in contributions that year compared to the average of the last 4 years.